The writer is Editor-in-Chief, Financial Chronicle; Visiting Fellow ORF and eminent author. He loves the space where politics and economics converge. China is trying to encircle India using blue-water tactics with a string of pearls strategy. Myth-making can be very seductive, like a coquettish whisper in your ear, beckoning you to make a tryst with yet another urban legend. Remember that every legend is a myth whispered at a campfire. And this acquires a life form of its own once it finds a way into an echo chamber. There are voices in the head, which squabble, challenge and harangue, but the chrysalis nature of the myth prevails, trumping all else. So, while Doklam becomes the big story and the quantum of naked Chinese aggression is viewed as a force majeure, the reality of the past cannot be ignored. The relentless nature of Chinese intrusions is much like the tedious inevitability of an unloved season creeping up on you just when you least expect it to. They are invasive and constantly trespassing, gauging our strength and resolve levels. 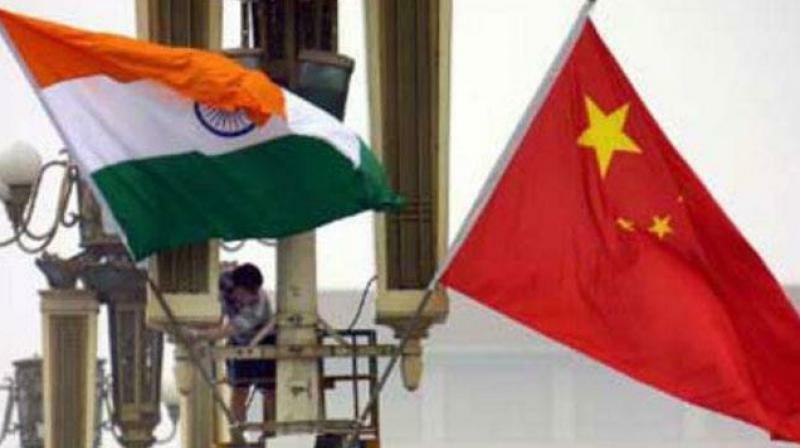 The India-China relationship is beyond counter-proliferation responses, it is the conventional war which is a more likely scenario. Battle, it is said, is a great redeemer. And on the 51st anniversary of Nathu La, China’s transgressions and lust for land notwithstanding, the crucible of warfare in which heroes are forged where courage overcomes fear is a stand-out chapter in the derring-do and bravado of the Indian armed forces. Let me contextualise this for you. Jawaharlal Nehru was dejected and his psyche brutalised by the gargantuan Chinese deception of 1962, and died a heartbroken man. Our great foe and natural adversary, Pakistan, thinking this was the moment to kick us and keep us down, structured Operation Grand Slam and Gibraltar. Operation Grand Slam was a key operation of the 1965 war. The Pakistan Army plan in May 1965 was to attack the vital Akhnoor Bridge in J&K. The bridge was not only the lifeline of an entire infantry division in J&K, but could also be used to threaten Jammu, an important logistical point for the Indian forces. The operation ended in a failure for the Pakistan Army as the stated military objectives were not achieved and they were subsequently forced to retreat, following a counterattack by the Indian Army. The second part of this construct was Operation Gibraltar. Believing the Indians were badly demoralised and Muslims of J&K would revolt against them with a little help, Gen. Ayub Khan gave his approval for Gibraltar, a plan to provoke uprisings in J&K by infiltrating teams of military personnel to conduct sabotage and prod the Kashmiri people against the Indian forces. The infiltration started in the first week of August 1965, as Pakistani infantry infiltrated the border in teams of twos and threes, eventually swelling to more than 4,000-5,000. Identifying the insurgents as Pakistan Army regulars, India countered them by bringing in additional troops. The Indian Army also launched attacks on the logistical bases of the insurgents in Pakistan-occupied Kashmir. Intertwined with Gibraltar was Grand Slam. The Pakistani Army commenced Operation Grand Slam at 5 am on September 1, 1965. The aim was to ease the pressure on the 12th Division, which was defending against repeated Indian attacks, and to guard against the threat to the city of Muzaffarabad from the territorial gains by Indian forces of strategic areas such as Haji Pir Pass in PoK. As always, Pakistan’s best-laid plans went awry. On January 11, 1966 Prime Minister Lal Bahadur Shastri died in Tashkent, a feisty young Indira Gandhi took charge in a faction-ridden Congress Party where the Kamaraj-led Syndicate called the shots. The Syndicate was all-powerful — K. Kamaraj, the former chief minister of Madras; Neelam Sanjiva Reddy, an Andhra leader; S. Nijalingappa, chief minister of Mysore state; and Atulya Ghosh, the president of the Bengal Congress Committee, along with Maharashtra leader S.K. Patil. Against this backdrop comes one of India’s finest military victories in a distant place called Nathu La. The Chinese, who revel in their military might, have received a bloody nose twice in recent memory — an abomination called Nathu La in 1967 followed years later with the Sino-Vietnam war, where the unceasing waves were taught a lesson in 1979. Nathu La can be described as a largish skirmish, but it resulted in the death of 300 to 400 Chinese soldiers. More than 80 Indian soldiers were killed. In many ways, the Doklam standoff and what began in Nathu La are mirror images. Nathu La also began with pushing, jostling and shoving. Nathu La was a result of the Chinese being irked over the Indian military presence in Sikkim, then a protectorate of India, while Doklam is at the tri-junction of Bhutan. India and China, where India has the heights and the Chinese the valley below. The aggressive mien being displayed by a muscular China has been pushing the envelope repeatedly with as many as 426 border transgressions last year, on the back of 273 in 2016. Many of these have resulted in actual physical contact between the two sides with the Indian Army keeping the PLA at bay. The new Chinese mindset is a result of anger over India’s infra build out across the undefined border running for over 4,000 km from Ladakh to Arunachal. Recent media reports suggest that India has upped the ante in terms of border infrastructure and military deployment. Of course, the daunting challenges for the Indian troops remain — ranging from lack of requisite roads, bridges and inter-valley connectivity to shortages of artillery, helicopters, drones and specialised ammunition stocks. Visits to the far-flung areas by media teams show that operational readiness and troop morale is high, with India slowly but steadily adding some much-needed muscle to its military capabilities all along the 4,057-km-long LAC to offset the stark military asymmetry with its larger neighbour. This has picked up pace after the PLA occupied north Doklam throughout the winter this time, even as it is disengaged from the actual faceoff site on Bhutanese territory. Ground zero reports say that four infantry mountain divisions (each with over 12,000 soldiers) under the 3 Corps (Dimapur) and 4 Corps (Tezpur), with two more divisions in reserve, are for example tasked for the defence of Arunachal Pradesh alone. The troop density at Tawang, which China claims to be part of south Tibet, is particularly high to thwart any nefarious designs. Then, of course, the new 17 Mountain Strike Corps and associated units, with a total of 90,274 soldiers for “quick-reaction ground offensive capabilities”, will be fully raised by 2021-2022. After the 59 Infantry Division of 17 Corps became fully operational at Panagarh (West Bengal), the 72 Infantry Division, to be headquartered in Dehradun, is now taking shape, with its first brigade to raised at Roorkee. Despite a depleting squadron strength, two full Sukhoi-30 squadrons armed with the Brahmos has been readied at Tezpur. Further, an Akash SAM squadron has been deployed in the airbase. China has three airbases just 350 km from Tezpur. Similarly, more Sukhoi-30s are parked at Chabua, also in Assam. The controversial Rafales, when they arrive, will be stationed at Hasimara airbase in West Bengal to replace the ageing MiG-27s. The second Rafale squadron is expected to be stationed at Sarsawa base in Uttar Pradesh. The IAF recently activated the advance landing ground (ALG) at Tuting, in Arunachal’s Upper Siang district. It is the sixth such ALG to be made operational in Arunachal apart from the ones in eastern Ladakh, all with China in their crosshairs. The Panagarh base in West Bengal is also set to get its six C-130J Super Hercules aircraft. Panagarh, of course, is also going to be the headquarters of the Army’s new 17 Mountain Strike Corps being raised with two high-altitude infantry divisions, apart from other armoured, artillery, air defence and engineer brigades spread from Ladakh to Arunachal. Moreover, a fresh controversy has broken out with the circulation of a draft report of the standing committee on external affairs headed by Congress leader Shashi Tharoor that deals with the Doklam standoff. This has been opposed by NDA MPs on the panel for “revealing” sensitive information provided in the course of privileged briefings. The draft is understood to deal with details that could cause diplomatic awkwardness for the information revealed in a manner that reproduces official briefings in a verbatim manner, without fully explaining contexts. Which once again establishes the primacy of the 73-day old Doklam standoff and its relevance to the national narrative. With Rahul Gandhi on this committee, questioning officials over the objectives behind China forcing a confrontation in the areas near the Sikkim-Tibet-Bhutan trijunction have acquired a deep political hue. Questions have also been asked about the current situation in the area, as it has been said that the Chinese are fortifying their positions in a very hostile and belligerent manner. With so many parallels between Nathu La and Doklam and given the strategic nature of the plateau as an access point to the vital Siliguri corridor or Dooars as it is called, India needs to be alert and constantly vigilant. A two-front war represents a great risk to the already stretched Indian Army, which requires large dollops of funding for modern weaponry. The delicate issue of Doklam remains unresolved — the Chinese extending a road through a disputed piece of land which slopes down to the Siliguri corridor, a narrow strategic strip of Indian territory dividing the Indian mainland from the seven northeastern region states. If China cuts off this access point, it can isolate the Seven Sisters, a frightening thought for the Indian Deep State. Not only is it pushing the envelope in the border areas, it is trying to encircle India using blue-water tactics with a string of pearls strategy. From the One Belt One Road initiative to Gwadar, the Maldives, Sri Lanka, Nepal and Myanmar, it is teasing India using its financial muscle. Described as “salami slicing” by Indian strategists, it works due to the absence of proper road infrastructure in vast swathes of border areas in India.